Meeting the demands of healthcare IT documentation without losing focus on patients requires tools that provide an outstanding experience for both physicians and patients. 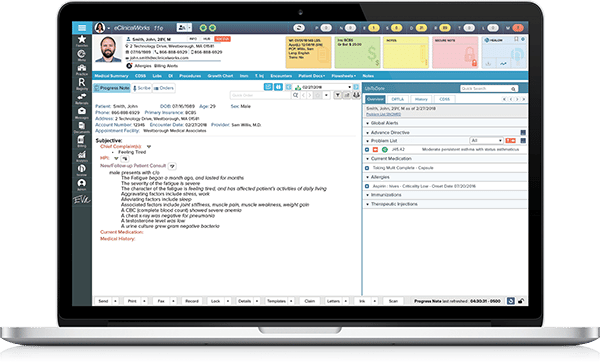 Physicians at Florida’s Gastro Health and Maine’s InterMed describe how eClinicalWorks Scribe is helping them save time on documentation, get back more of their personal lives, and improve the quality of the healthcare experience for their patients. 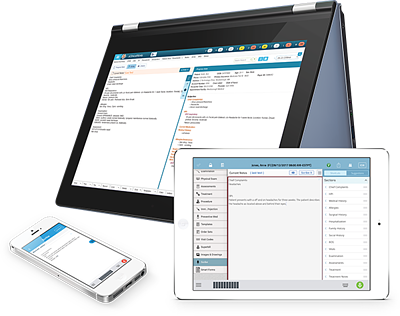 A free-form dictation tool, eClinicalWorks Scribe allows providers to generate accurate and comprehensive Progress Notes. Gastro Health’s Dr. Jose Lavergne is grateful for the usability of Scribe. He can speak into his mobile device, and Scribe can pick up everything he says quickly and accurately. Scribe saves time on documentation, including finding ways to allow doctors to get home a bit earlier, spend time with their families, pursue their hobbies, and recharge for the next day. To hear more from Dr. Laverage, check out our podcast from this year's National Conference. Dr. Scott Patch, CMIO at Maine's InterMed, says after using Scribe he has already realized benefits. He is spending less time focused on the screen, no longer feels distracted by his impending workload and feels he can focus more on providing quality care to his patients. Less screen time means providers can make eye contact, focus and listen to the patient, all while establishing a patient/provider relationship and overall better experience for the patient. 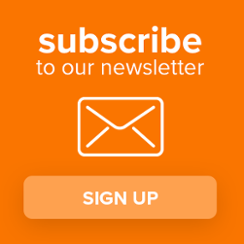 With Scribe, providers have reduced the number of clicks needed to complete their documentation and are getting back precious minutes each day. 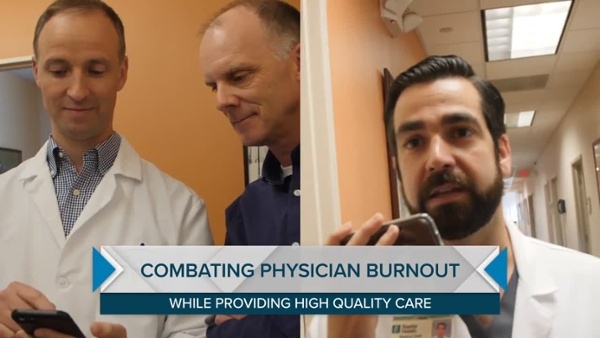 They are achieving higher quality care for their patients, saving time, easing processes, and preventing physician burnout.